LCD Soundsytem will also perform during the final month of the season. LCD Soundsytem, Haim, and Katy Perry have been announced as the musical guests on Saturday Night Live in May. LCD Soundsytem will perform on the May 6 episode hosted by Chris Pine, and Haim set to play on May 13 with Melissa Melissa McCartney as host. Katy Perry will close out the SNL season with a performance on May 20, in an episode hosted by Dwayne "The Rock" Johnson. 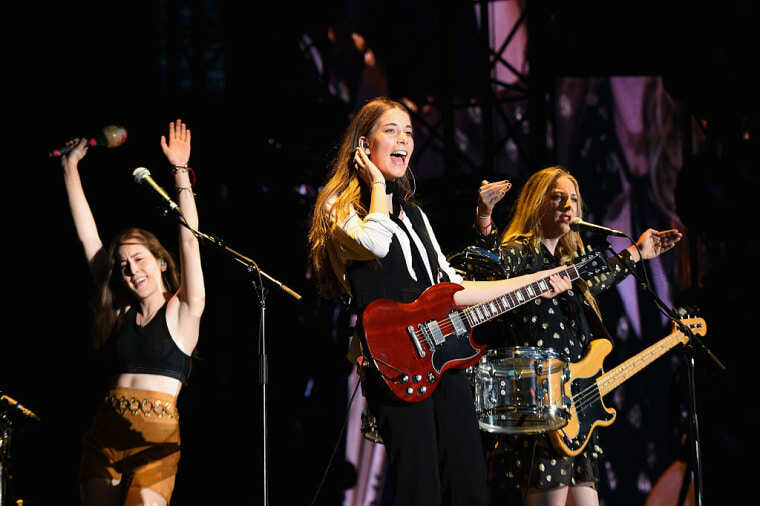 In the last week, Haim have teased the release of new material with worldwide billboards and studio clips. In a short video from the studio, the band revealed that new music would arrive on April 27. See the SNL lineup for the month of May below.